Ebooks are computer files, or some other type of electronic format. We have a merchant here on the forum that sales ebooks on CD - survival Ebooks. That way you have the files in a portable format. "What" you can do with these Ebooks? Lets talk about that for a minute. Lets say that your going on a hiking trip, you can find the pages on navigation, print them out and put those pages in with your TOPO maps. If you need a reminder on navigation, you have a cheat sheet on hand. So instead of carrying the full sized survival manual with you, you can just bring some single pages. Another thing - if you have a good printer, you can print out some of the pages and put them into a binder. That way you have a physical backup of important information. And you do not have to rely on a computer if you have a printed copy. Ebooks are a lot cheaper then full sized survival manuals. Yea printed books are nice, but ebooks are more flexible. If you want a hard copy of one page out of a book, you have to have a scanner. With an ebook all you need is a printer. Have not considered the E book approach. Looked at the listings, very comprehensive. It would take some time to whittle the essentials down to make hard copies. But, this is what I spend a lot of spare time doing, preparing and planning. Will have Santa order soon. What is the point of that. My ebook reader uses so little power that I could probably use the USB charging port on my emergency radio to charge it up rather quickly. One full charge lasts me a couple thousand pages worth of reading. Okay, having a book in a very portable format is good, but here is a question that will make a difference in how you use the books: I see these are in PDF format - are these scanned photocopies, or is there actually text that you can search? 1) You can't search the book for some particular word or phrase. That means if you have a medical book, and want to find a page on how to treat a sucking chest wound, and that isn't in the index or contents, then you are going to have to quickly scan through the whole book to find what you need. 2) Scanned pages stored as photocopies will take up a lot more memory space than the text would. It will also load slower, especially on a small handheld device. This isn't that big of an issue on a computer, but on a PDA or smartphone it is an issue. 3) When you zoom in to read text or look at an illustration, you will be limited by the stored resolution of the scan. To save space, time and computer power, a lot of people who scan these books don't use the highest resolution they can. Also, if they are scanning from a book that is still bound, then you get distortions. Essentially you have to at least unbind the pages from the book to lay them flat to get a good scan. If your scanner doesn't have enough resolution or contrast you can get a poor scan. When you go to compress the scan you lose resolution. Personally, I really doubt that someone took the time to go through, scan the pages, use a high quality OCR app, then proofread and layout the results for all of these books - to get a *REAL* e-book. I doubt even more that they had the original document files that produced the books, which would be optimal, and what most e-books are produced from. But I would be really happy if someone proved me wrong. Downside need a reader or computer to access them (a big downside for fans of terminal societal disintegration), paper is much more enjoyable to read. Since running out of shelf space (roughly 1200 volumes) I started accumulating e-books I now have more than 60 gigs of literature some survival but mostly literary works. I use a dedicated library machine, that is isolated from the internet, to store them and transfer items to those hard drives via a a thumbnail drive after sweeping the files for virii/malware. Every month I back the library computer up on a 2 terabyte portable hard drive. I keep copies of the volumes that I would miss the most on DVD. (edit) Not all PDFs are scanned copies most are at least partially run through a word processing program, many are generated entirely with a word processor. I have never had the need to search for a word or phrase but I am certain that a way exists if the need is great enough; i.e run the scanned text through word recognition software, correct the mistakes with a word processing program, manually edit for errors then search the text. Although using the table of contents and/or index would appear to be easier. I have e-books in many formats ranging from .txt files through .lit files and some .doc and even wepage files it is relatively easy to convert between most formats even mobi pocket and palm files. Oh indeed. I worked four+ years writing software for the printing industry that manipulated PDF and Postscript files for publishing houses - mostly layout, but I am very familiar with PDF right down to the data format. So yes, most PDFs you get from the original publisher contain text data instead of just scanned images of the pages. That said, these 'survival' e-books look to be something that were scanned from a published book - from the actual paper - not something that was a file from the original authors/publishers. So with regards to these particular books, that is my caution/comment; that there are significant downsides to how these books were probably created with regards to their end use. A simple scanned page resulting in just an image of the page is the least desirable format. As for searching any publication. I do this all the time. Unless the publication is an article or story, I rarely read it from beginning to end, and even if I did, for anything technical, whether it is about emergency medicine or how to repair a car, I am going to want to go right to the info I need instead of having to scan pages manually to find it - that is one of the huge advantages of using a computer to read any publication; you waste a lot less time getting the info you need and you usually don't miss other related info. There is a lot more to publishing e-books than just slapping together the content. in regards to this offering from "kev" ...has anyone had a chance to acquire and review the books? theyre all pdf right? is the resolution decent? are any of the "heretics" concerns proven right or wrong one way or another? I did not persue the youtube link but regularly search places like open library, Gutenburg and the Survival Files section of this forum, for public domain literature. The format that I like best for the e-reader is e-pub but this reader does many formats. Calibre can often convert formats. Web page information often needs extensive editing (save complete and edit from there, pictures/illustrations can be especially time consuming). PDF files, in the e-reader, can sometimes be a bit of a hassle to navigate especially when they are magnified and you need to look around within the image (some e readers may not want to do this). Small screens some times make illustrations difficult to see but usually they can be made out/magnified (I have a Fresnel lens taped to the back of the reader). Many times illustrations are missing from scanned literature, this seems to have a lot to do with how long ago it was scanned and who scanned it. I typically skim the file online (from open library, or Google books) to see if it is complete enough to make it worth downloading, if its free and I can't skim it I just download it and take a chance. (Always sweep downloaded files for viruses before opening). Pirate/hacker or non reputable "FREE" sites will often give you viruses (avoid these like the plague that they will give you). Support the authors and companies that provide information and entertainment by purchasing non public domain literature. Scanning/OCR defects are common and sometimes I have downloaded copies of the same book from different sources to reduce the problems, there often seems to be a lot of duplication/ripoff of one scanned source. In the absence of OCR defects most modern texts are very readable but texts prior to the mid 1800s or so can be a major pain due to line shifts/spacing inconsistency and size shifts; Olde English seems to be especially difficult for the scanners to handle. Purchased copies of e-books (from reputable publishers) are usually pretty defect free. Self scanned files are often a major problem to make readable. I do not keep a master list; calibre will tell me if I duplicate a file, I keep a master backup of files on hard drive besides the copies stored on memory cards. I organize the files in the e-reader, largely, by subject, shelter, crafts, history, camping, etc. Reading files from this e-reader on a computer is a major pain, this e-reader seems to strip header info. 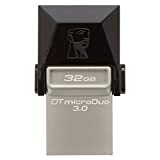 Amazon.com: Kingston Digital 32GB Data Traveler...) that can be read on any PC, Mac or (almost any) Android device. The USB drive stays in my EDC tin so I always have them with me. I've got a spare Nexus 7 tablet that I keep in my waterproof/EMP-proof box for emergencies. Something really important to know about Amazon Kindle ebook readers: Their storage is partly internal, partly in the cloud. So if and when the Internet goes down, all you will have is what you'd downloaded. The best e-ink alternative that sips battery is a Barnes and Noble Nook Simple Touch. Costs less than $50 and has an SD card slot. But that is not a great option, either. It can't do Kindles (natively) and the file browsing interface is rubbish. I bought one and rooted it so that it is a normal Android 2.1 device, complete with better file browsers and ebook apps, but it took me a long time (weeks/months) to get it working like I want. And I'm a computer nerd! So for average users, how much more painful? Also I de-DRM (unencrypt) my Kindle books, converting to plain and open PDFs. That too took weeks to get right, and Amazon may be making headway in killing that option; I recently downloaded some books that my de-DRM cannot handle. So it's not a great solution, but at least now all my ebooks are available on a low power device. Unfortunately there aren't many inexpensive Android-based e-ink devices. I'd love it if the Earl project finally came through and the price dropped. That's promising, but startup delays threaten to make it vaporware. I have since purchased several Android 4.x devices for the kiddos. These are low enough power to be useful in a crisis. I also bought dozens of Dollar Tree solar yard lights. These cost $1 and have an internal AAA battery. I then bought some AAA to AA adapters off eBay (here's 12 for less than $3), and some AA-based USB phone chargers from Dollar Tree. Crisis hits, we can charge our Android devices with the solar yard lights. We have enough that some can be charging while others are being used for devices. Also for redundancy; two is one. Here's some links to free and legal downloads, about 300GB worth of ebooks and docs. Some links are broken. Thumbnail drives are getting cheaper and have larger capacities and are a very good way to archive literature and documents in a versatile/compatible, small, light weight, portable easy to access package (as johnmcd) said). I started out using them in the BOB and have continued to do so, but have added SDHC cards to archive (duplicate info) for my e-reader, this give me portable in-depth backup of data/info. Battery life and replacement is a concern of mine; most e-readers do not have replaceable batteries, I only know of one that has replaceable batteries. Although I'm pretty sure that, with a little time with a soldering iron, many folks could could put something together... if necessary; although most seem to function just fine on charger power. I use Nimh 2400 ah replaceable AAs in my e-reader, with an option to solar or vehicle charge them and a solar rechargeable USB power pack. I don't class yard and garden lights as a particularly effective way to recharge batteries; but if it works for you go for it. This particular old e-reader (and its backup) can work off the batteries, the power pack, a computer powered USB connection or directly from a 5 volt solar panel (should be at least 5 watt). 12 volt power means that it needs a 12 to 5 volt USB converter. The NIMH batteries use a 12 volt smart charger for home or vehicle charging. I down load, sweep for viruses, then convert (sometimes edit) files, if necessary, and finally archive them on a pc (hard drive), before dropping them on thumb nail drive and SDHC cards. I wouldn't expect Wi-Fi, cell service or the internet to be available after even a local disaster, just as they are not available where I camp, so that leaves most computer and cell phone based solutions in the less than optimum category, IMO (I do archive a few web pages for e-reader playback). I view the e-reader and thumbnail drives as a portable library. I have looked hard at justifying backpackable computing without finding a compelling argument for it, mostly because of the anticipated lack of communication; but maybe I'm missing something (the BOLs do have backup info and computing capability). Mostly, I use e-books, and self generated files, as either entertainment or as a backup to my memory, for critical things (mostly medical related) I maintain some hard copy at the BOLs and in my library with the e-reader serving as a more portable way to carry and access both (potentially) critical and non critical information... the ability to access the info is what is important not the means used to do it, IMO. Barnes and Noble Nook Simple Touch. Costs less than $50 and has an SD card slot. The new Simple Touch no longer has an SD slot. The free program Calibre will convert any ebook format to all other formats including PDF, DOCX, TXT, RTF etc. It will also remove kindle DRM automatically with the DRM plugin installed. The new Simple Touch no longer has an SD slot. You must be referring to the new GlowLight. You can still get the old Simple Touch off eBay. The free program Calibre will convert any ebook format to all other formats including PDF, DOCX, TXT, RTF etc. It will also remove kindle DRM automatically with the DRM plugin installed. Yes that's what I use, but a handful of books I'd gotten recently couldn't be decrypted. Hoping it's just a temporary thing. Edit: Apparently it was, for all but one e-book, and I think I know the cause of that one. I removed the originals from the Kindle app, re-downloaded them, browsed them, and then I was able to open them with the Calibre DRM plugin. I'd tried all of the above except browsing with no success; it was browsing them that made the difference. Go figure. The last e-book I cannot decrypt, might be because of a flaw in the e-book itself, that I just need to tweak the decrypting code to make it work. I'm not burning to get that one decrypted though; it was a freebie that I said, "meh, maybe I'll read it." I am ALL for keeping e-books as an archive and a resource. I also support copying out both key sections and entire books to put in your gear, binders, etc. I DO NOT support the idea of having them be a sole, go to resource in prepping. In my opinion, a survival library should not be dependent on technology or on electricity to survive, let alone all the other things that could compromise an exclusively e-format library. I agree for critical literature (and recipes) (even these I backup as e-reader files; things like medical texts as .pdf, recipes and edited/condensed knowledge (like forum posts) are usually .txt sometimes .epub, very occasionally I archive a spreadsheet but usually only on hard drive and then only if I archive a copy of the appropriate software to open and use it (this is very rare but did occur when I archived multilink chassis design information). However a great many disasters require evacuation and hardcopy packing & transport of a library is not quick nor readily backpackable. Even when vehicle camping I rarely bring hard copy. Read, practice and use skills that may be necessary (organic memory (knowledge & skill) is my primary information resource... it is not something that you can normally pickup from a book in one reading, competency requires practice). Back up knowledge with e-books in multiple places (at home, in the camping/BO gear and at the BOLs. Due to the increasingly limited shelf space, additions to my hard copy library are increasingly limited; not an issue with e-books, one or a thousand the physical space required is the same, and getting smaller & lighter with technology advances. Many very good sources of knowledge are no longer in print (and original books are often very costly, when they can be found); literature/e-books in the public domain (expired copy right, where any ever existed) is usually free, but some readers are not (or at least reader makers, do not want their devices) compatible with free literature (its a greed thing). After a great many years of accumulating hard copy (even the condensed binders have became excessively, nearly unusably, heavy & complex and not by any stretch of the imagination, portable) e-books have provided an easy, lightweight, portable, inexpensive way to easily gather, file, archive and access information (a good file system is essential). Find a system that works for you (one does not fit all) use it, practice it and hope that you never need it in a disaster.